Ruby Royal Online Casino has introduced a special low risk bonus for its free money players this weekend. With this move, the casino aims to convert its free money players to real money players. Ruby Royal Online Casino has offered this special onetime welcome bonus through a private e-mail communication. The bonus is 100% of the first deposit, subject to a maximum of $1,000; and this bonus has to be claimed between Thursday, March 25 and Sunday, March 28. At the first glance, this offer may not appear as attractive as the regular welcome bonus given to all new players at the online casino. The regular welcome bonus, which is displayed on the promotions page, offers 200% of the deposit subject to an upper limit of $1,000. This basically means that players who deposit $500 will be entitled to a bonus of $1,000. On the contrary, under the newly launched special bonus scheme, players have to give $1,000 to get a bonus of $1,000. Moreover, the play through requirement for the special bonus is 20 times the deposit and the bonus whereas in the regular bonus, it is only 15 times the deposit and the bonus. However, free money players may still opt for the special bonus at the Ruby Royal Online Casino this weekend because of the second part of the package deal. The special bonus is billed as a low risk bonus as it comes with an insurance cover of a minimum of 50% and a maximum of $500. Players who make the deposit and complete the betting requirements by Sunday, March 28 can log in to their account on Monday, March 29 and claim 50% on all their losses incurred this week, subject to a limit of $500. Free money players gamble with the play money provided by online casinos though they cannot cash out this money. Some players bet play money just to get a feel of the games and the casino before switching over to real money. Free money players who are looking to switch over to real money can choose between the two bonuses offered at Ruby Royal this weekend. 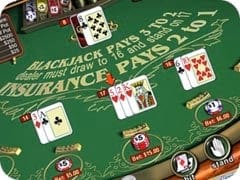 Players who have registered with their genuine e-mail address at the online casino are at a great advantage because they are the ones who will get the first bite of this special offer. The last 10 years has seen Ruby Royal Online Casino climb the ladder of success and its founders have been managing many successful online gaming sites in the Web World. The Ruby Royal online casino offers more than 100 games in both non-downloadable and downloadable formats including Video Slots, I-Slots, Classic Slots, table games, card games, and huge progressive jackpots. The Casino is managed by the Curacao Gaming Commission, and all gaming violation issues are handled under the jurisdiction of Netherlands Antilles Law.